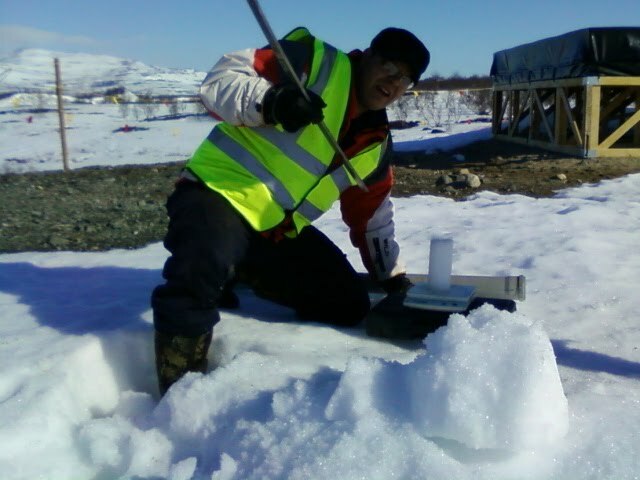 In the last post, we explained how we had started taking a small set of snow/ice cores around the site to assess how the snow had built up and the solidified. Although some areas were quite deep with snow, as the recent site images show, there is plenty of exposed rock and some of the samples were actually quite shallow. Toivo Iinatti extracts a small core from between the two test tiles. However, we've now got back the initial data from the measurements. 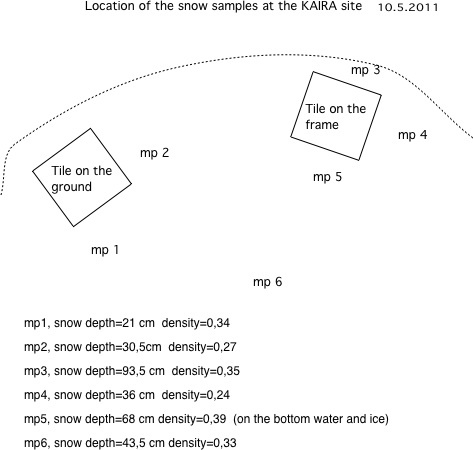 These data have been kindly provided by Markku Postila and show some of the sample points and what we found. Further assessment and analysis will be needed, but it does give a first indication as to what could be expected in the case of partially melted-and-re-frozen conditions at the end of the season where packing densities can be quite high. And, despite the large outcrops of exposed rock on the site, there are still considerable areas where the snow remains moderately thick. 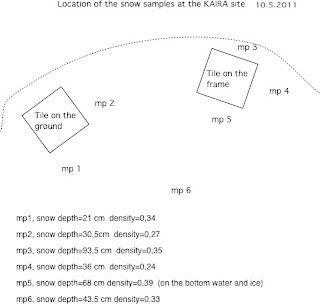 Obviously the drift areas exceed 50cm, but 30 cm is about the expected depth in uniformly distributed areas.